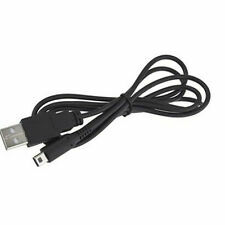 1 x USB Cable for Nintendo 3DS DSi NDSI XL. 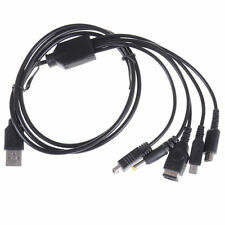 - USB Cable can transfer and download data from PC for your ND SI. - Great adapter for you when you're near a computer but not a wall outlet. - With the cable. USB Charger Power Cable Cord Plug for Nintendo New 3DS / DSi / DSi LL / XL. Condition is New. Shipped with USPS First Class Package. IN-STOCK - FREE SHIPPING FROM THE USA - BEST SELLER! UPGRADE TO EXPEDITED FOR 2 TO 4 BUSINESS DAY DELIVERY!! ③Accessory ONLY. Nintendo Lite not included. ⑦NOTE: Cable for charging ONLY; can not transfer data. You may also like. Cord Length: approx. Precision connectors ensure a high charging rate. Easy installation, simple plug and play setup. Made of high quality impact plastic. A l z ( 94. ) 2017-10-05. m s ( 1283. ). Compatible with: For Nintendo NDSL/ NDSi LL/ 2DS/ 3DS/ 3DS XL. - Portable-small & light weight cable. Wire Length: About 1.2m. Shell Material: PU. Features: USB Charger Cable for Nintendo DSi Light and compact design for easy portability Easily charge your Nintendo DSi lithium battery from any USB port or USB wall adapter Simple plug and play design makes charging your handheld device quick and easy NOTE: For Nintendo 3DS, 3DS XL, 2DS, DSi, DSi XL, NEW 3DS XL only; NOT compatible with Nintendo DS, DS Lite, wiiU Color: Black Cable Length: 1.2m/4ft Note: 1. NOTE: For Nintendo 3DS, 3DS XL, 2DS, DSi, DSi XL, NEW 3DS XL only; NOT compatible with Nintendo DS and DS Lite. Light and compact design for easy portaibility. NOT compatible: Nintendo DS / DS Lite. NOTE: Cable for charging ONLY; can not transfer data. Plugs into computer USB port. Length: Approx.4FT. Portable - Small & Light weight cable. Samsung Cellphone. Provides power to your DSI while simultaneously charging your DSI battery. For Nintendo DSi ONLY; NOT Compatible with Nintendo DS or DS Lite. Data Cable provide portable power. Item: Data Cable for NDSI. 1 Charging Cable. For charging purposes only. Interface Type:USB. Cable length:Approx. Compatible with: For Nintendo NDSL/ NDSi LL/ 2DS/ 3DS/ 3DS XL. - Portable-small & light weight cable. Wire Length: About 1.2m. 1 Set x Cable. Quantity:1 Set. Features: 100% BRAND NEW Fully compatible For Nintendo New 3DS(XL/LL), 3DS(XL/LL), 2DS, DSi(XL/LL), GBA SP, Wii U, Sony PSP 1000/2000/3000 Support Windows 98SE/ME/2000/XP/VISTA/WIN 7/8 Color: Black Cable Sizes: approx. 1.2m/3.93 feet Note: Please allow 1-3cm (0.4-1.18") difference due to manual measurement and slight color variation for different display setting. 1 Set x Cable. If you have any problems, we are very glad to help you. We believe that everything could be solved by communication. Color: Black. What's include: 1 x Cable. We will work with you to solve any problems. All of shot by real pictures. Charging CableNOT compatible with: Nintendo DS / DS LiteUSB cable allows you to charge and play simultaneouslyNever run out of power againPlugs into computer USB portCord Length: 4 ftColor: BlackAccessory ONLY. Nintendo Lite not includedProduct names are trademark of listed manufacturer or other owners. The manufacturer may not endorse use of these products. Compatible Platform: 3DS, DSi XL, DSi, 3DS XL, 2DS. Includes: 1 DSi AC Adapter. Replace worn out or lost ac adapter.High speed 2.0 USB. Type: Power Adapter. Weight: 6.00 oz. Only for DSi /DSi LL XL/3DS/3DS LL XL. 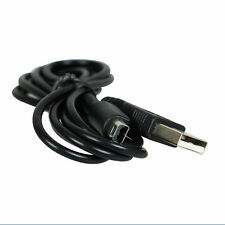 Qty: 1 PC Black USB Cord. It’ll take you one minute only. With the cable. you can transfer file. sync data between the DSi and your computer. NDSi USB Cable can connect your NDSi for transfer and download data from PC. 1x adapter cable. Model Compatible: Nintendo DSi, Nintendo 3DS. Cord Length: 110 cm. NOT compatible with: Nintendo DS / DS Lite. Accessory ONLY. Nintendo Lite not included. Cord Length: 4 ft.
✔ Superb Performance and Safety: Premium quality braided sleeving anti-abrasive exterior with gold plated connector heads promise you a perfect experience in charging your Nintendo devices. Learn More. 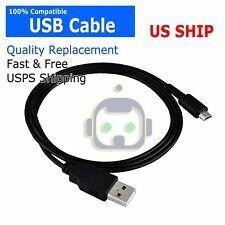 Brand new sealed Nintendo 3ds USB charging cable Free shipping! 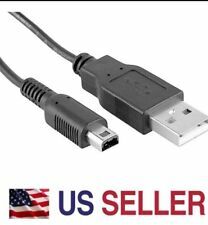 100% Brand New and High Quality This is a USB charging Cable, ForNintendo 3DS DSi NDSI XL. Light and compact design for easyportaibility Easily charge your Nintendo DSi lithiumbattery from any USB port Model Compatible: Nintendo DSi,Nintendo 3DS The listing is for 3pcs of USB cables Length : 1.2m 3 x USB charging Cable, ForNintendo 3DS DSi NDSI XL MPN Does not apply Brand Generic UPC Does not apply UPC Does not apply. Compatible with: For Nintendo NDSL/ NDSi LL/ 2DS/ 3DS/ 3DS XL. - Portable-small & light weight cable. Wire Length: About 1.2m. We will always here to solve them for you. It won't help the problem to be solved. Compatible with Nintendo 3DS, 3DS XL, 2DS, DSi, DSi XL, NEW 3DS XL. NOT compatible with Nintendo DS and DS Lite. USB charging cable with gold plated connectors and premium braided jacket. Manufacturer: 6amLifestyle. Label: 6amLifestyle. Publisher: 6amLifestyle. Studio: 6amLifestyle. ✔ Compatible with: Nintendo 3DS / 3DS XL / DSi / DSi XL. ✔ Cord Length: About 10ft / 3m. 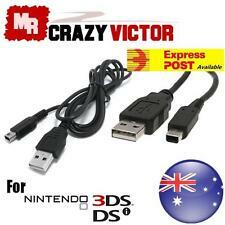 ✔ 1 x Nintendo 3DS USB Cable. Fully compatible with Nintendo 2DS,3DS,3DS XL & 3DS LL,DSi,DSi XL.